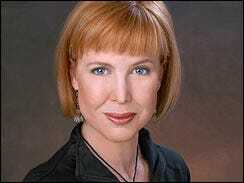 Kim Dozier, AP’s new intelligence reporter. The AP just hired a nice get for its Washington bureau: Kimberly Dozier, the CBS News reporter who has made a name for herself as an overseas correspondent (not unlike Christiane Amanpour at CNN, who was recently poached to join ABC News).Kim is currently the Middle East correspondent for CBS News. Starting late next month, she will cover intelligence under editor Steve Braun’s “terror team” in Washington. I’m pleased to announce the AP’s new intelligence reporter: Kimberly Dozier. You may know Kim as the Middle East correspondent for CBS News, where she earned a reputation as a tireless reporter covering hot spots, from Israel to the war in Afghanistan and the hunt for Osama bin Laden. She reported on the war in Iraq from 2003 until she was injured in a car bombing in 2006. For the last three years, Kim has covered the White House, the Pentagon and national security out of the CBS Washington Bureau. Previously, she was London bureau chief and chief European correspondent for CBS Radio News as well as a television reporter for CBS News based in Israel. She has covered world events ranging from the crisis in the Balkans to the death of Princess Diana. In the 1990s, Kim was an anchor for the BBC Radio World Service’s “World Update.” While living in Cairo, Kim did freelance reporting for The Washington Post, The San Francisco Chronicle and other publications. As part of Steve Braun’s terror team in Washington, Kim will help the AP break news and produce high-impact enterprise stories. She will work with AP reporters around the globe, focusing on stories about the growing security threats against the United States and its allies. She starts late next month. This is an exciting time for WDC and Kim. Please welcome her to the bureau.